Now you can win an award for your site. 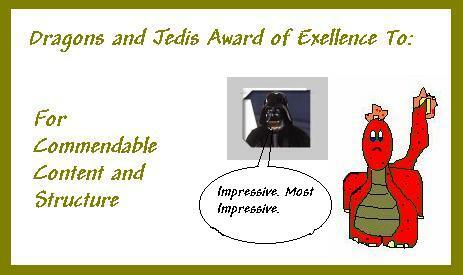 The Dragons and Jedis Award. Submit your site today. Sites containing offensive material will be disqualified. Sites that are well build and well maintained will be rewarded.